Credit Builders Alliance is a non-profit organization creating innovative solutions to help non-traditional financial and asset building institutions serving low-to-moderate income individuals build credit and financial access in order to grow their businesses and/or personal assets. 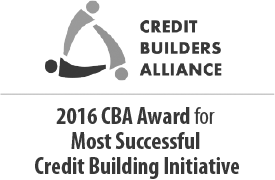 Visit the Credit Builders Alliance website. The Consumer Finance Protection Bureau (CFPB) was created as part of the Dodd-Frank Wall Street Reform and Consumer Protection Act of 2010 (Dodd-Frank Act). CFPB’s mission is to make markets for consumer financial products and services work for Americans – whether they are applying for a mortgage, choosing among credit cards, or using any number of other consumer financial products. Some wonderful tools include: Submit a Complaint and Know Before You Owe (for credit cards, mortgages, and student loans). 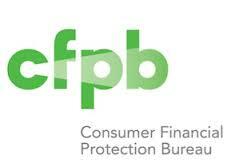 Visit the Consumer Finance Protection Bureau website. PowerPay is a free, personalized, self-directed debt elimination tool. Save money by paying off debt (specifically credit card debt) using the PowerPay method. Other tools available include a spending plan and PowerSave. Visit the PowerPay website. Asset Platform is a resource for staff at nonprofit organizations and agencies that provide financial education, coaching, asset development and other support services. The Asset Platform has tools for counselors regarding budget, savings, debt, credit score, and insurance. A couple of tools to check out include: Medical Debt, Auto Resource Road Map, and the Financial Products – Credit Union locator. Visit the Asset Platform website.